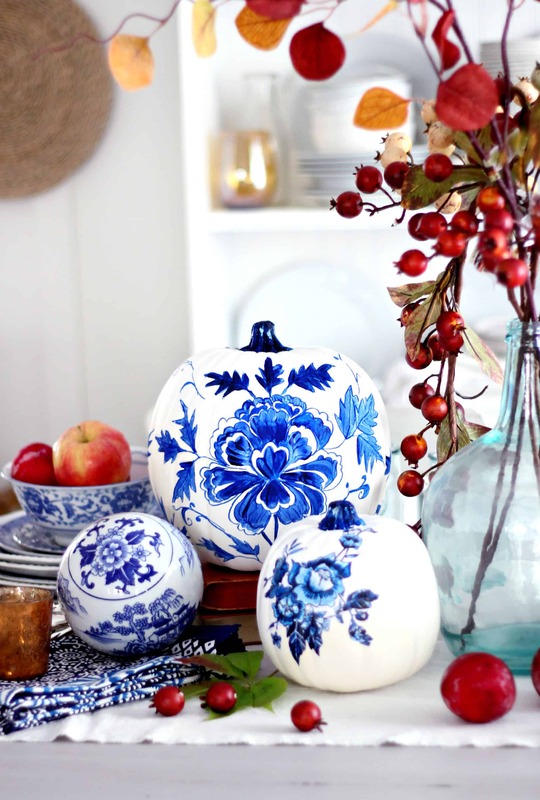 We LOVE painted pumpkins! Not only are they fun to make but no carving is involved. 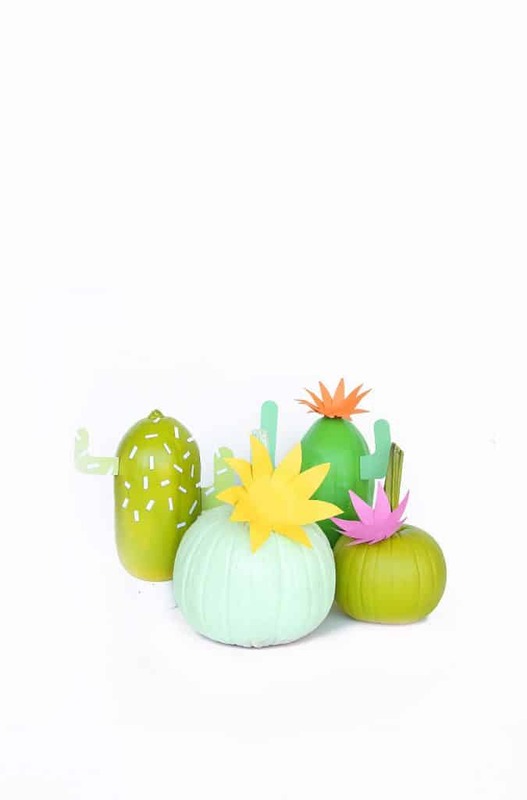 So grab some paint and create some painted pumpkins that will wow everyone on the street. Painted pumpkins don’t need to be spooky, the focus is really on fun and interesting and there really isn’t any wrong or right so its a great chance to get really creative! 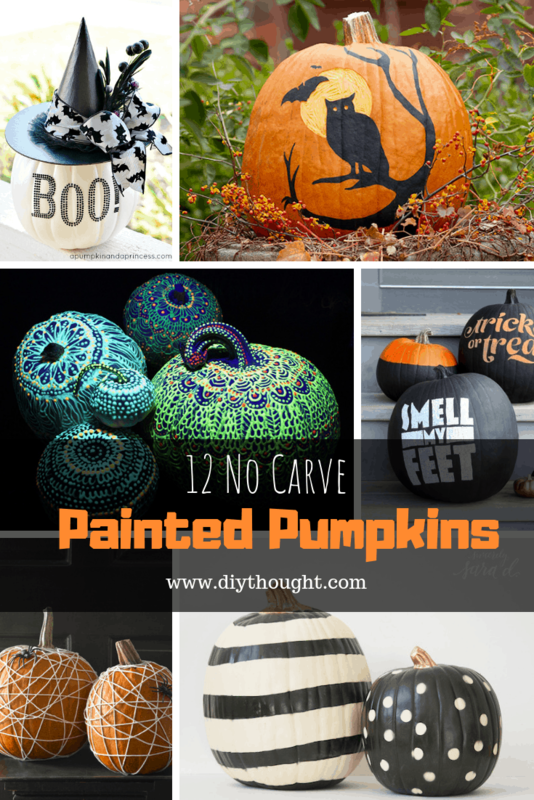 Read on to find our favorite 10 diy Halloween painted pumpkin ideas for this year. Drip painting pumpkins just screams fun! Fun and mess, but that often goes hand-in-hand. Drip painting is something that kids of all ages can take part in and stunning results are almost guaranteed. Click here to read the full tutorial. These have got to be some of the most beautiful pumpkins around. 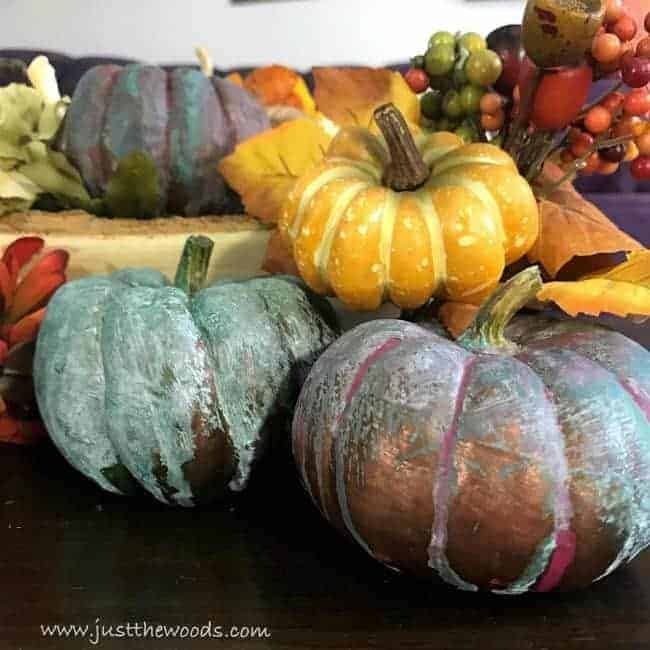 If the painting looks too challenging don’t fear, there is a free printable available that can be decoupaged onto the pumpkins. Get the free printable and more details here. The cutest pumpkin and healthy donuts around. 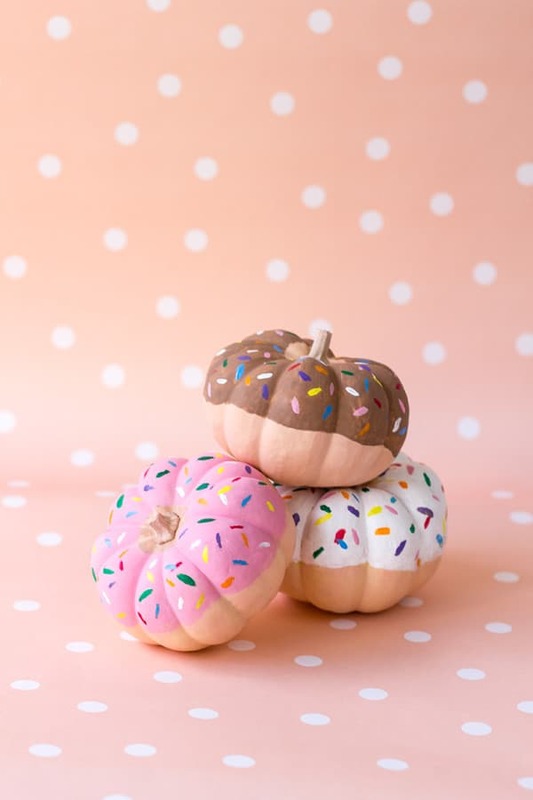 Everyone will love these donut pumpkins! Follow this link to get the tutorial. 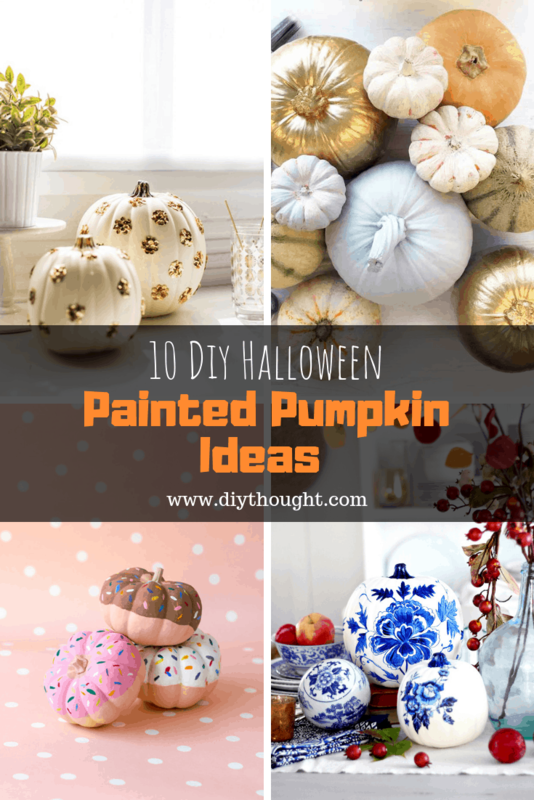 Fabric paint gives a lovely textured look making it perfect for pumpkin decorating. We love the pale colors used here but using a dark base paint would also look stunning. Click here to get the full tutorial. 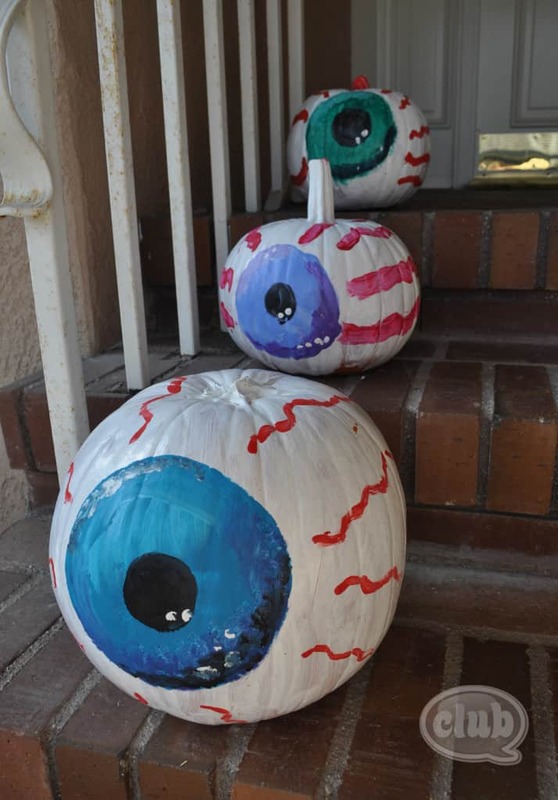 Keep Halloween creepy with these eyeball pumpkins. A way to up the creep factor further is to paint the eye on the bottom of the pumpkin. The method used here is great if kids are painting their own eyeball as the pumpkin won’t move around as much. Read more here. What can we say when the Pun-Kins say it all. 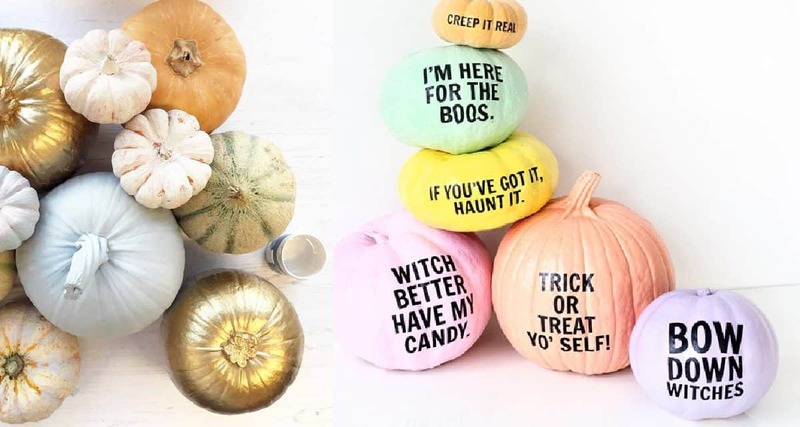 These awesome pumpkins are a must for your Halloween party. Click here to get the tutorial. 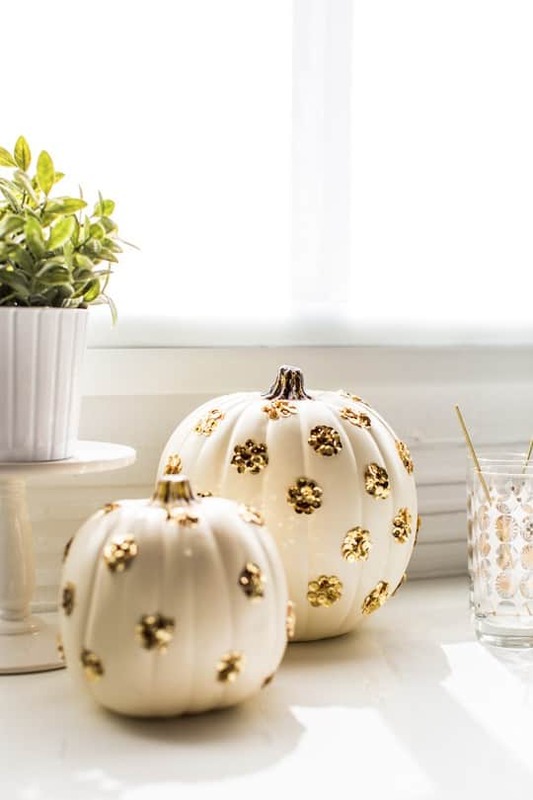 Get a little crafty with these sequin dot pumpkins. Making Halloween totally glam! Follow this link to get the tutorial. Cacti in disguise! 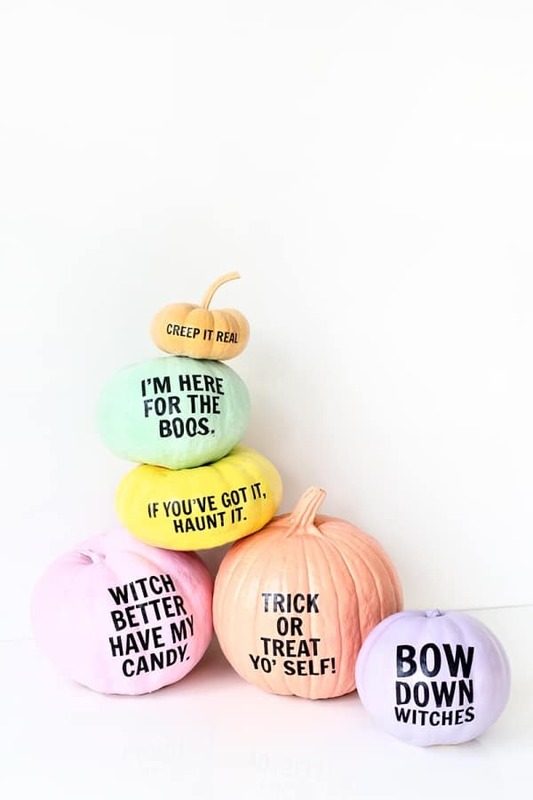 These Halloween pumpkins are totally fun. Find out more about them here. Patina paints are lots of fun to work. 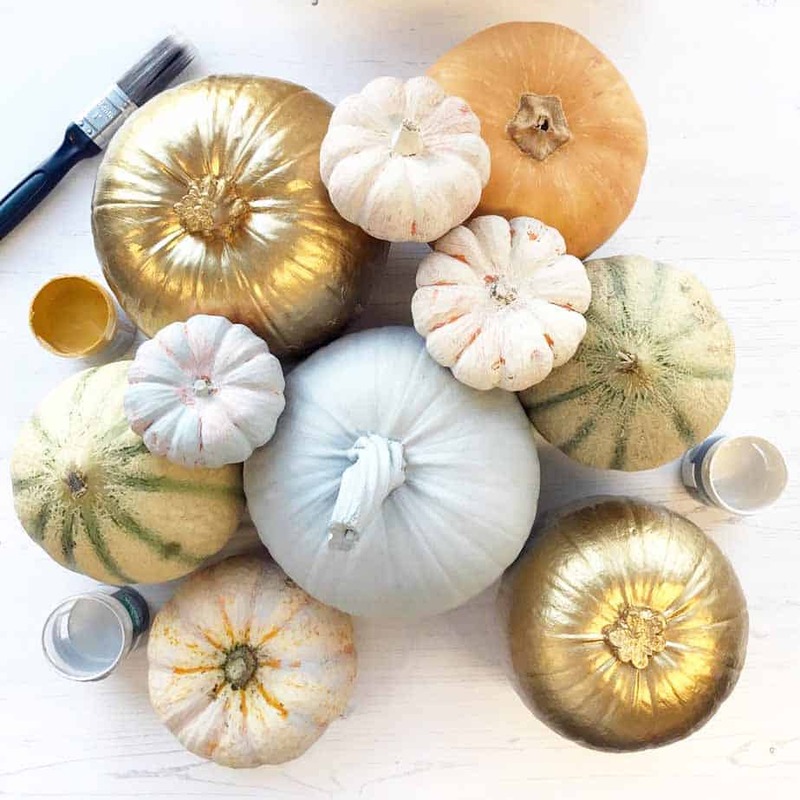 If you have never worked with these paints before then these pumpkins are the perfect project to start with. Follow this link to find the tutorial. 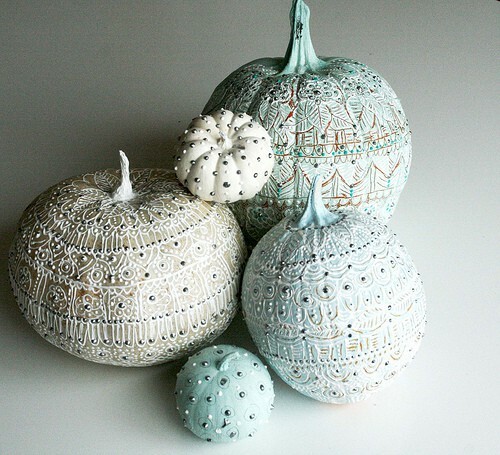 Sometimes keeping it simple is best which is why we love these metallic and pastel pumpkins. Mixed together with au natural pumpkins this is a great look for a sophisticated pumpkin arrangement. Click here to read the tutorial.